Washington (CNN) – Former Florida Gov. Charlie Crist announced Friday his support for lifting the U.S. trade embargo against Cuba, a policy shift that shows how far the former Republican has moved since switching parties. When asked by Maher about the influential Cuban bloc of voters, most of whom have historically opposed restoring normalcy with the country’s regime, Crist denounced the trade embargo as an ineffective relic. 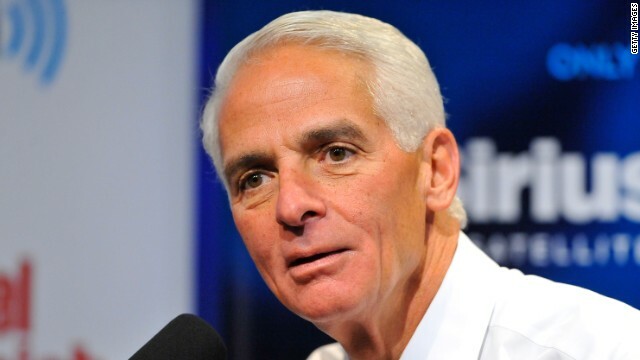 Crist said lifting the 52-year-old embargo would be a boon for his state. “As a Floridian, I’d like to see that happen because a lot of construction would be required on the island, and South Florida could be the launching pad for all of that and really create a lot of jobs,” he said.Crist’s statements are a complete reversal of his previous position. At a 2010 editorial board meeting with the Sun-Sentinel newspaper, Crist, then running for the U.S. Senate, said he not only opposed removing the trade embargo, but he also was against loosening travel restrictions to Cuba. President Barack Obama eased travel restrictions to the island nation in January 2011, but federal action on U.S.-Cuba trade policy is viewed as a nonstarter in Congress. “The suggestion that Cuban Americans need to be ‘stood up to’ is insulting,” the statement said. “Our nation is great because we were built on a foundation of freedom and democracy. That is not true in Cuba and we should not pretend it is. The importance of maintaining the embargo is that it stands for the Cuban people’s right to be free,” he said.